Extract them in your computer and launch "DriverSetup.exe". NOTE: Drivers must be downloaded from this procedure only. Installing other drivers might not make phone visible for DC-Unlocker software, so no possibility to unlock. Wait till drivers fully install and this message disappear. After message disappeared, restart computer (necessary step). Turn off phone. Press "Volume down", "Volume up" and "Power" buttons. Hold them pressed for 5 seconds. 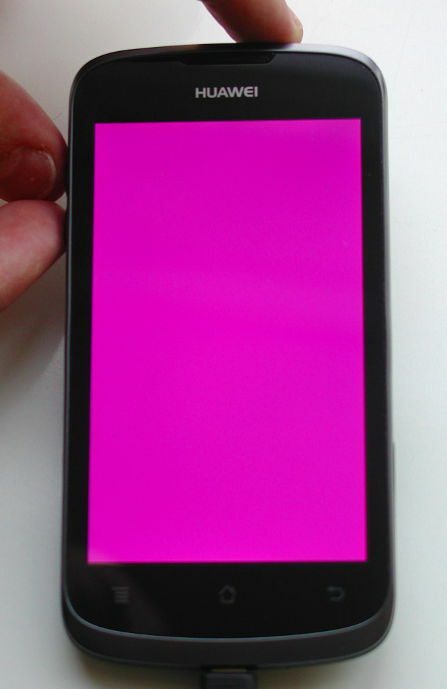 Phone screen should become purple/pink. Connect phone to computer using USB cable. Select manufacturer: Huawei phones, model leave Auto detect (recommended). Press detect button (Big magnifying glass). 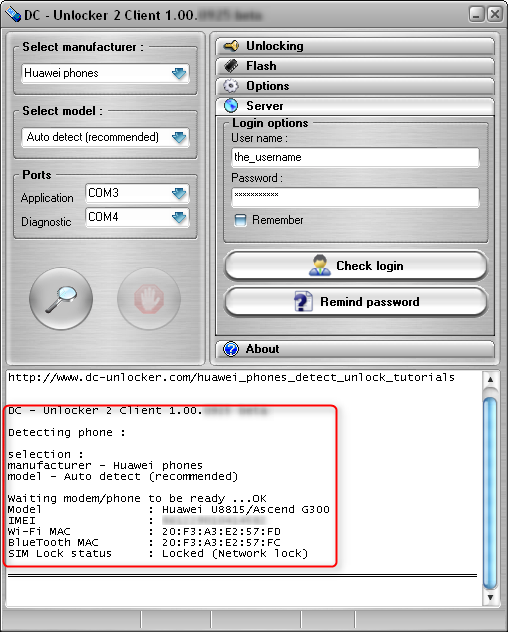 Wait till DC-Unlocker fully detects phone. Open unlock tab and press unlock. Wait till you see a message that phone is unlocked. After you see that phone is successfully unlocked, remove battery and restart phone.